Midtown is marked by its cultural attractions, institutions of higher education, noteworthy architecture, and urban layout. The district is the center of the city’s arts scene that includes the Ferst Center for the Arts, Fox Theatre, Woodruff Arts Center, the High Museum of Art, the Museum of Design Atlanta, the Atlanta Symphony Orchestra, the Center for Puppetry Arts, and the 14th Street Playhouse. Midtown is also home to three well known institutions of higher education: Georgia Institute of Technology, John Marshall Law School, and the Atlanta division of the Savannah College of Art and Design (SCAD). Midtown contains about one-third of the city’s high-rises and some of Atlanta’s most iconic buildings, such as the Bank of America Plaza, AT&T Midtown Center, One Coca-Cola Plaza, Atlantic Center, and 1180 Peachtree. Midtown has also been a primary area for high-density development in the city in the first decade of the 2000s due to the district’s mass transit options and urban street grid. The definition and meaning of “Midtown” has varied over time, expanding from an original concept of a small neighborhood midway between Downtown and Buckhead. Boundary definitions vary by the source. In many cases, Midtown is a quasi-legal entity for zoning, law enforcement, and taxi purposes. 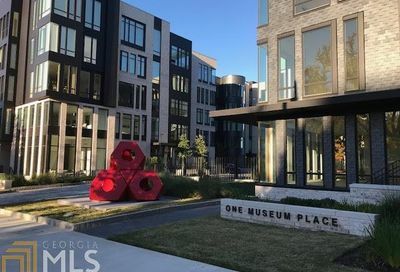 It is defined by the City of Atlanta to include the business district along Peachtree Street as well as Historic Midtown, the residential area east of Piedmont Avenue and to the south of Piedmont Park. The Midtown Alliance defines a larger, “Greater Midtown” area of approximately four square miles. This includes the area within the city’s definition, but splitting it into the sub-areas Midtown Core and Midtown Garden District, i.e. Historic Midtown. 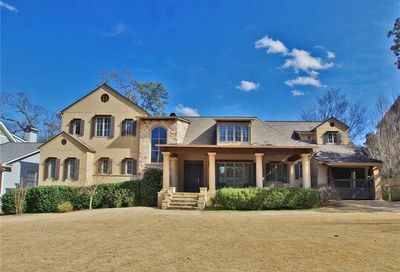 It also includes the neighborhoods of Ansley Park, Sherwood Forest, Atlantic Station, Home Park, and Loring Heights. The area has gone by other names in the past. An 1897 source refers to the area as North Atlanta, which would later be the name of today’s city of Brookhaven. The 1897 “North Atlanta” encompassed (roughly) most of today’s Midtown, Georgia Tech, and English Avenue. Sources from the 1950s and early 1960s refer to the area as “Uptown Atlanta,” a moniker which would later be applied instead to Buckhead following its annexation. After the Civil War, Peachtree between what is now 8th and 12th streets was still about a mile beyond the city limits, which ended at Pine Street. After the American Civil War a shantytown named Tight Squeeze developed at Peachtree at what is now 10th Street. It was infamous for vagrancy, desperation, robberies of merchants transiting the settlement. 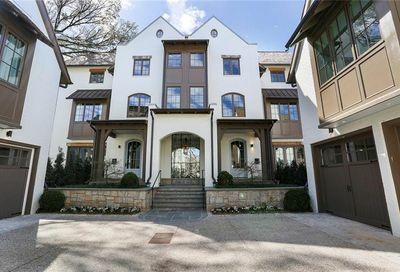 As Atlanta grew ever further outwards from its historic center, mansions were constructed along Peachtree Street and the area around 10thwas known as Blooming Hill. Cross streets were built and residential development began around 1880. Piedmont Park was established with the Piedmont Exposition of 1887, followed by the Cotton States and International Exposition of 1895, lending the area new prominence. Electric streetcar lines extended along Piedmont Avenue by 1895 and along Peachtree Street (to Brookwood) by 1900. In 1904, development on Ansley Parkbegan. By the 1920s, Tenth and Peachtree had become the nexus of a significant shopping district for the surrounding neighborhood.The 1910 Encyclopædia Britannica listed Peachtree Street in Midtown as one of the finest residential areas of the city, along with Ponce de Leon Circle (now Ponce de Leon Avenue), Washington Street, and Inman Park. Large-scale commercial development began with Colony Square, the first mixed-use development in the Southeast, which was built between 1969 and 1973. The MARTA subway line opened in 1981. In the 1980s, many older properties were demolished, some remaining vacant for decades. High-density commercial and residential development took root in the north–south corridor along Peachtree and West Peachtree. The BellSouth Center (1982), now the AT&T Midtown Center, was long the landmark skyscraper in the area. 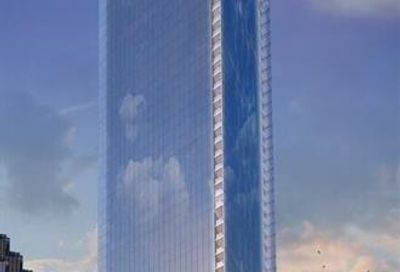 However, commercial development escalated after 1987, when One Atlantic Center was completed. The 2000s decade saw the construction of numerous high-rise condo buildings in Midtown, such as the Spire, Viewpoint, and 1010 Midtown. In 2006, then-Mayor Shirley Franklin set in motion a plan to make the 14-block stretch of Peachtree Street a street-level shopping destination. The 2004 opening of the Seventeenth Street Bridge over the Downtown Connector reconnected Midtown with the west side of the city and to the Atlantic Station mixed-use development, which was built on the former site of the Atlantic Steel company. The Midtown Alliance, a group of volunteers, employees, and business and community members, was formed in 1978 in order to work towards improving the overall quality of life in Midtown and transform it into an ideal place for people to actively live, work, and play. Activities of the Alliance include improving the neighborhood safety, developing area arts and education programs, and building community leaders. 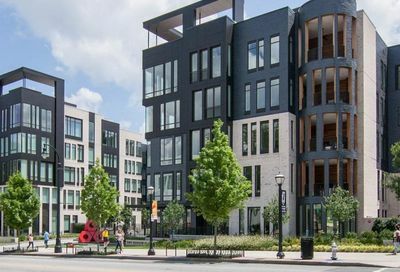 The master plan from the Alliance, called Blueprint Midtown, is credited with fueling the economic resurgence that has helped the once downtrodden Midtown area transform over the past number of years into a popular neighborhood. No part of the city has evolved more dramatically over the past two decades…Impersonal office buildings, imposing parking decks and cold asphalt arteries have given way to high-rise living and an explosion of street life…Where once there was a wasteland, now there are great restaurants, groceries, specialty shops, townhouses, lofts and … people.